On my last trip back home I picked up numerous Pueblo gospel LPs. Given the holiday season, I thought now would be a good time to share them. Unfortunately, I can't offer much information on these recordings. If you can offer any help, please contact me. 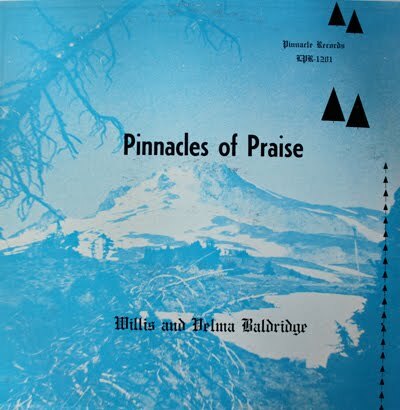 Willis offers a rich, classically-trained voice to these standard gospel songs. Accompanied by church organ and piano by Velma. 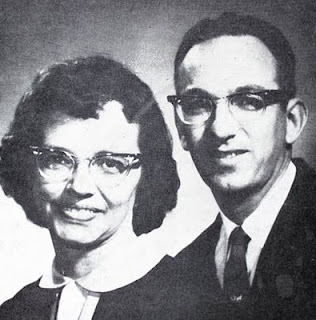 Listen to "If Jesus Came to Your House"
Having been reared in parsonage homes, Willis and Velma derived a love for music of the church early in life. This love led them to their church college where each was graduated with a Bachelor of Music degree. The Baldridges have had a wide and varied background in gospel work - much of it in Christian radio including WMBI - Chicago, KFUO - St. Louis, KJLT - North Platte, and KFEL - Pueblo, Colorado. 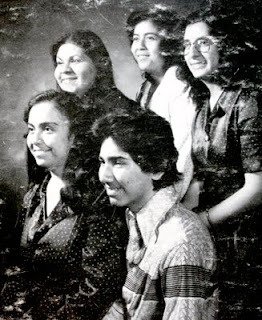 They have directed the musical programs of several churches and were also connected with the Family Altar of the Air - a broadcast released over some 20 radio stations in the continental United States, Hawaii, and a missionary station in Haiti. Their own weekly radio broadcast "Pinnacles of Praise" is now in its third year. Gospel standards with heavy four piece harmonies. Lots of piano here. The guitars pictured on the cover are almost nonexistent. Listen to "Oh Happy Day"
The Sounds of Life will bless your hearts and your home as they sing a variety of gospel numbers inspiring your lives with the love of Christ, the joy of the Lord and the fellowship of the Holy Spirit. 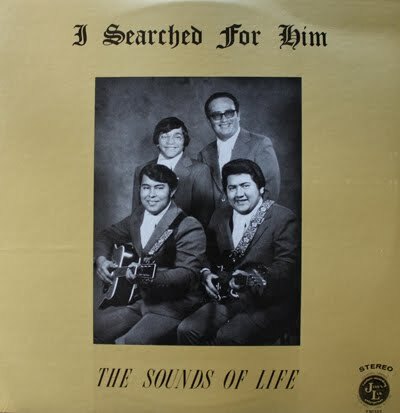 Their music will be a blessing to you as it has been to us and our church. Special thanks to Brother Roberto Nieves, whose love and concern helped us get started on our way, and to Brother Pat Blea for all of his encouragement and help, and may we add patience. We also want to thank our pastor, Brother Jess Fuentes, and Bethel Temple Church for all their encouragement and counseling. Lead singer Carol Fuentes and the Sounds of Living Waters appear to be fresh out of high school. The group offers up gospel standards, and sound like they're having a pretty good time at it. 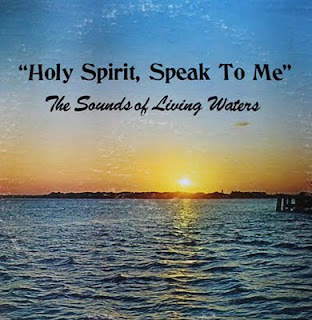 Listen to "Holy Spirit Speak to Me"